According to tradition, Thai cities have a pillar (Lak Muang) which serves as a home for the cities guardian spirits. 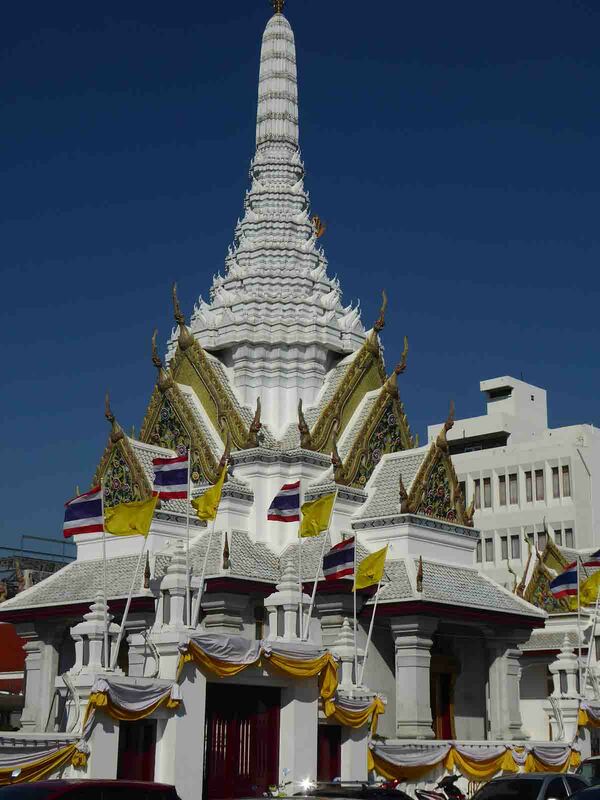 When the City of Bangkok was established in 1782 in the reign of King Rama I, a pillar containing the city’s horoscope was placed close to the Temple of the Emerald Buddha at the astrologically determined auspicious time of 06.54am on the 21st April 1782. The phallically shaped pillar was made from the trunk of a cassia tree with a lotus-shaped crown carved into the wood. 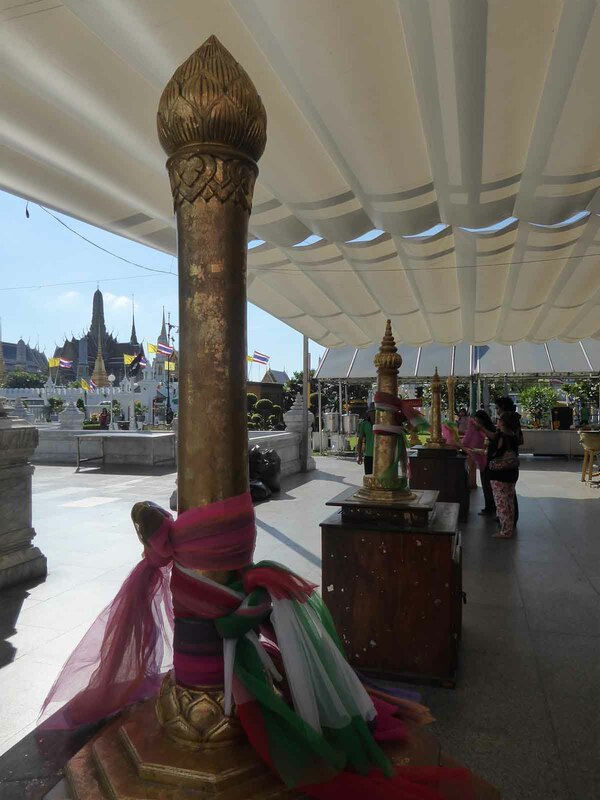 The original pillar was replaced in 1852 during the reign of King Rama IV with a new one using the same kind of wood. Both pillars were placed inside the shrine and both contain the city’s horoscope. 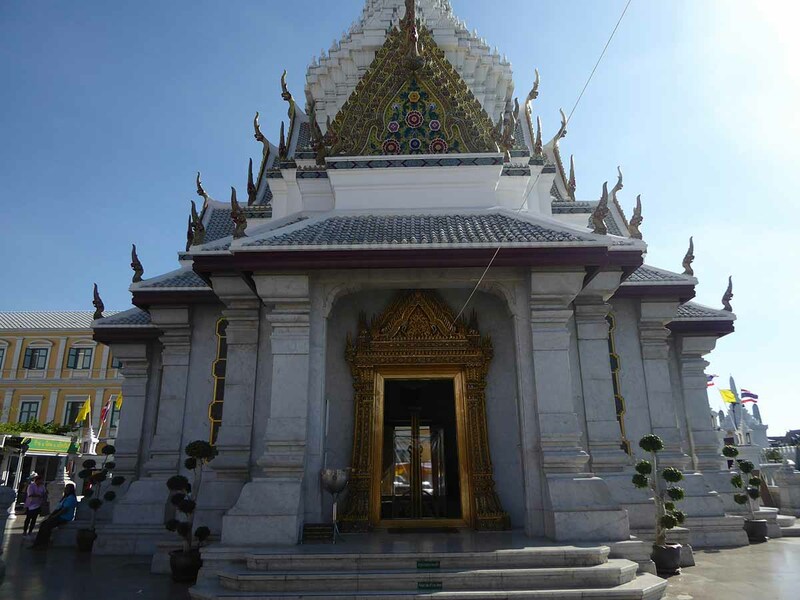 The shrine also houses images of various protective deities and is situated in a small attractive garden. 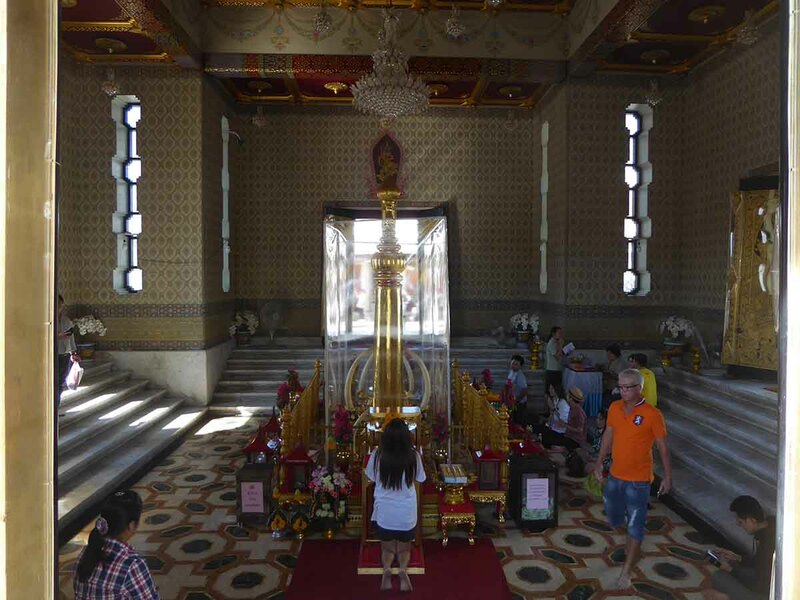 The shrine has a steady flow of locals coming to pray and offer flowers as Thai people believe that paying homage to the shrine will bring prosperity, peace, and fertility. Location: 2 Lok Muang Road.